"As is the case with movie actresses, opportunities decrease when female opera singers reach a certain age. There are only so many chances to be the Countess in Tchaikovsky's Queen of Spades, for example. 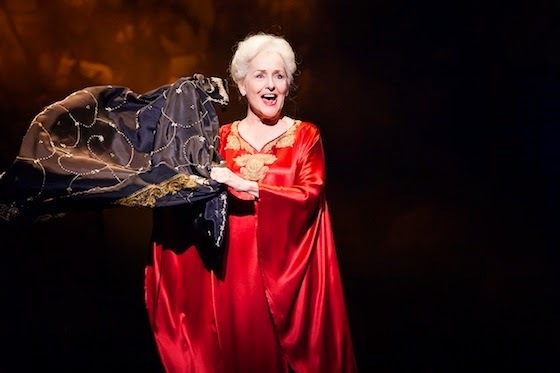 So when the much-beloved mezzo Frederica von Stade retired from the opera stage in February 2011 at age 65, with a final outing as Mrs. De Rocher, the show-stealing featured part that Jake Heggie wrote for her in Dead Man Walking (2000), her many fans assumed that was the end. It wasn't. Ms. von Stade is back, this time at center stage in A Coffin in Egypt, a one-act chamber opera written for her by Ricky Ian Gordon. The work had its premiere at the Houston Grand Opera in March, went on to Beverly Hills and is now at Opera Philadelphia. Working with librettist Leonard Foglia, Mr. Gordon based the opera on Horton Foote's play of the same name. It's a ferocious character study. Myrtle Bledsoe, age 90, living in the tiny backwater town of Egypt, Texas, looks back on her life, and for the most part, it isn't pretty. In 1900, at 19, a beautiful, much-pursued city girl, she married a rich farmer, but the promise of that beginning was never fulfilled. Her husband, Hunter, cheated on her openly, first with a black prostitute, and later with a 17-year-old high-school girl whose father he shot and killed. His crime went unpunished, and Hunter and Myrtle's nephew, assuming he would be similarly immune, murdered his own father. Even Myrtle's daughters were no comfort to her; they blamed her for Hunter's tomcatting ways." [Source] Read the full Wall Street Journal review of the show here.